Model Electra is a modern cane with several function. 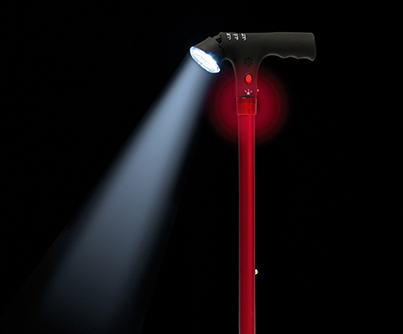 It is height adjustable, has a clear white LED front light and a loud sound alert including a red, flashing, warning light in case of emergencies. Available in 3 outstanding colours.